John Blichmann, the President of Blichmann Engineering joins me this week to discuss beer brewing options for really small (sub 1 to three barrel) “nano-breweries” and also provides some great tips on selecting equipment and starting a tiny brewery on a shoestring. Blichmann Engineering is a world leader in dedicated home and craft brewing equipment and his products can be found in most major brewing retail stores. 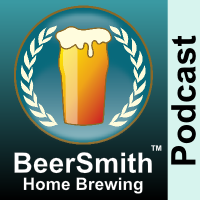 This episode was recorded on the noisy show floor at the 2015 National Homebrew Conference, so there is some background noise which I apologize for. John tells us why he’s seen a significant uptick in the purchase of nano-brewery size equipment recently. We discuss why a nano-brewery size (typically 1-3 barrels) appeals to someone who might be trying to self-fund a small brewery startup. John explains what a typical equipment setup looks like for this type of brewery. We talk about some of the advantages when using an electric heating element with these systems including heating efficiency and less venting required. John tells us about fermentation options from simple large buckets to conical fermenters with full temperature control. I ask John about why you need to brew frequently with a small system and managing fermenters. We talk about the advantages of being able to brew a lot of different small batches. John shares some options for automating your small nano-brewery. We discuss some of the equipment options offered by Blichmann Engineering in the nano-brewery size. John explains some of the difficulties of taking a successful nano-brewery to the next level including funding and expansion of equipment as well as making the switch from selling beer on site to wholesaling. We discuss how you can often use your nano-brewery setup as a test pilot system for your large brewery after upgrading. John shares a few of the new products coming from Blichmann engineering along with his closing thoughts. Thanks to John Blichmann for appearing on the show and also to you for listening!